The Leeds Employment Tribunal today released its David vs Goliath judgment in relation to the claim by thousands of ex-Comet employees against Comet relating to its failure to collectively consult with the 6,889 employees who were made redundant after Comet went into administration. Leeds based law firm, The Needle Partnership LLP’s employment team, represents 275 ex-Comet employees, being the largest group of claimants with legal representation. The judgment gives protective awards of the maximum 90 days for those employees dismissed on or after 17 November 2012 and 70 days for those dismissed in the period from 3 to 16 November 2012. The Employment Tribunal found that there had been no election of representatives, that misleading information was given to the representatives about the proposals, and that there was no consultation at all. A number of concerning details about the financial background to Comet’s administration emerged during the Tribunal case. Victoria Robertson, Employment partner of The Needle Partnership LLP says: “We are very pleased with this outcome. 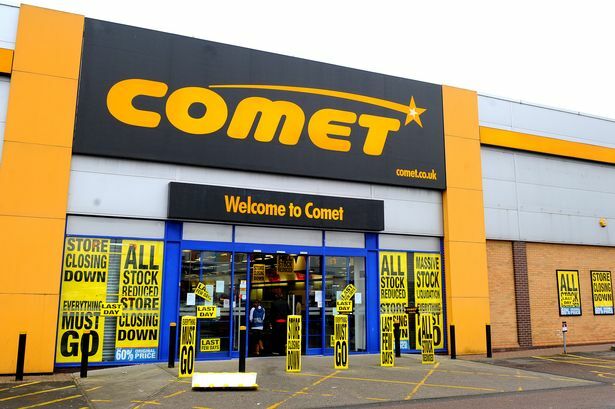 Comet's demise is one of the biggest High Street casualties of recent years. A corporate raid by private equity investors resulted in a 75 year old British company being destroyed and nearly 7,000 jobs being lost. Many of the ex-Comet employees have found it difficult to obtain employment elsewhere and have suffered financially. During the Tribunal case it emerged that they had been lied to, misinformed, and treated with very little dignity or respect whilst Comet’s owners extracted the maximum value from the business." Deloitte LLP, the administrators, filed a report in October 2013 showing that they had been paid £5m in fees. The same report details that the retail consultants involved in store management and closures had been paid £7.2m. Meanwhile Comet and its owners escaped any liability for paying redundancy pay and notice pay but employees were left to claim the minimum statutory amounts from the Insolvency Service (i.e. the tax payer). The Insolvency Service will also pay the protective awards.